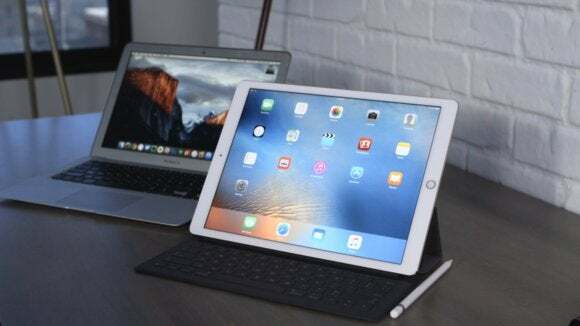 Since the iPad Pro launched, the old debate about whether the iPad can replace the Mac as a work machine has been reignited. Jason Snell explains why he's firmly in the middle. We live in polarizing times: If you’re not on one team, you must be on the other. Compromise is sniffed at, if not denounced outright. And yet I find myself in the middle between these two extremes. Yes, that’s right: I love my Mac and my iPad and use them both. In the months since the release of the iPad Pro, the old debate about whether the iPad is a suitable replacement for the Mac to get serious work done has been re-ignited. On one side are people such as Federico Viticci of MacStories, who has almost entirely replaced his Mac with an iPad Pro. On the other are a host of skeptics who say that the iPad isn’t a device suitable for real work—to get the job done, you need a Mac. There’s nothing wrong with being someone who is a dyed-in-the-wool Mac user—I’ve been one for years. If the Mac is what you know and is the best tool for doing the job, it should be what you use. 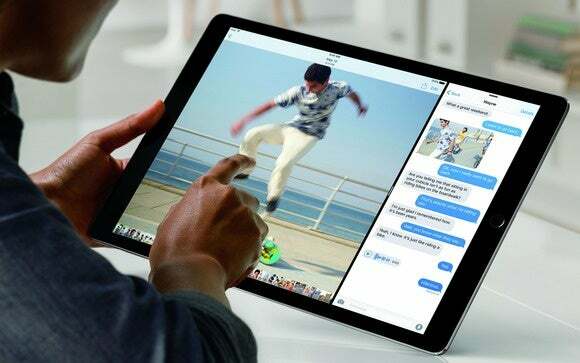 There’s also nothing wrong with being a committed iPad user, who has left the desktop metaphor behind and has embraced using lightweight, ultra-portable devices to do their work. In the arguments about the future of computing, people like to pick sides, but the fact is that traditional computers and touchscreen mobile devices will both be with us for years to come. I’m starting to think my daughter, born in 2001, is going to be a laptop user for life. My son, born in 2004, is more of a toss-up. Not too long ago, I was asked on a podcast if I was Team Mac or Team iPad. It was a trick question, because the person asking it and I are both on Team Both. Team Both is the place to be. 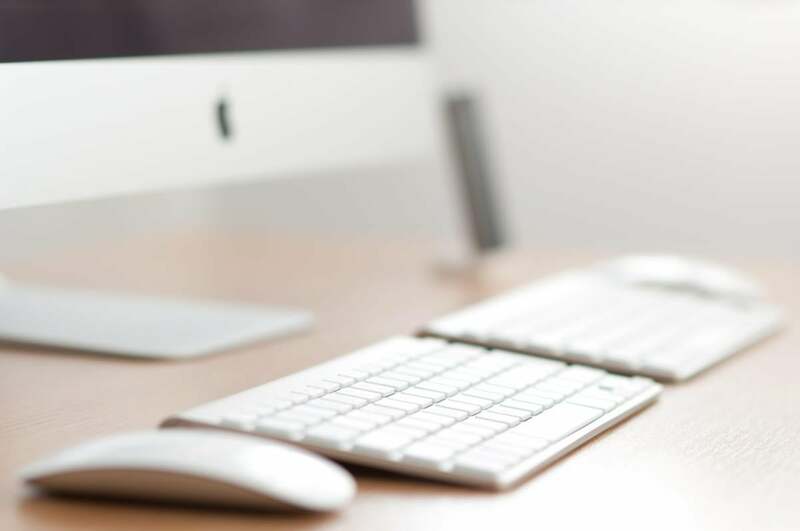 Shifting between iPad and Mac—and let’s not forget the iPhone, since most of us carry around a smartphone all the time, too—can be a remarkably flexible and fulfilling way to work. Since I bought an iPad Pro last fall, I have almost entirely stopped using my old 11-inch MacBook Air. I still do most of my work at a desk in front of a 5K iMac, and I love everything about it, from its powerful quad-core processor to its amazing high-resolution screen. But sometimes I need a change of scenery, a switch in context. I find myself staring at my iMac screen, often with a blank text-editor document and a blinking cursor. I need to change things up. When I switch to my iPad Pro, it feels like I’m taking a break from work, but I’m actually still working—just in an entirely different context. Sometimes, I’ll read and reply to email in a chair. Other times, when that blinking cursor daunts me, I’ll put the iPad Pro on the bar in my kitchen and turn on a Bluetooth keyboard and start writing while standing at the bar. It’s nice to have a powerful machine that I can take anywhere. Occasionally I will use AirDrop to transfer a file from one device to another, but more often I simply use cloud file-sharing services to do the trick. While I have access to iCloud Drive, Google Drive, and Microsoft’s OneDrive, my cloud-storage service of choice is Dropbox. 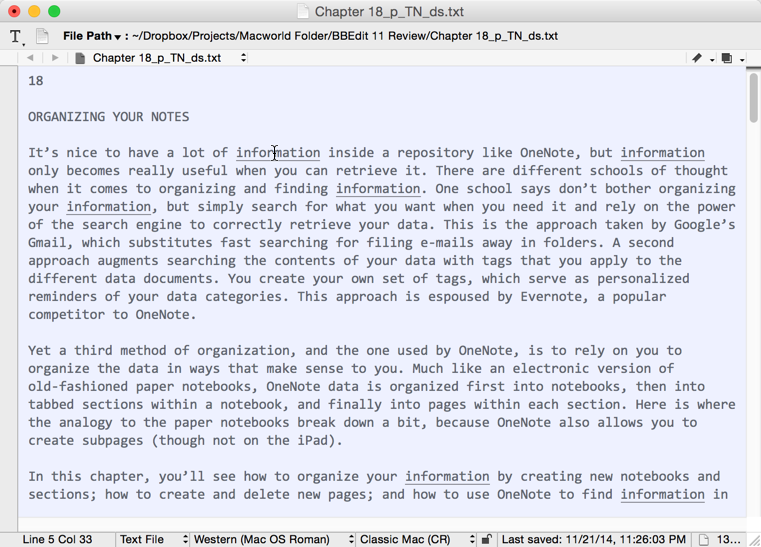 When I’m on the Mac, I save what I’m writing—usually just Markdown-formatted text files in BBEdit—to Dropbox. On the iPad Pro, I am doing most of my writing in the 1Writer text editor, which lets me open documents directly from Dropbox. Switching to my iPad is also made easier by the fact that most of the tools I use everyday sync their data sources across devices. I rely on Safari bookmarks and history, which iCloud keeps in sync, and I can use iCloud Tabs to pull up any webpages I had open on my Mac when I switch to my iPad. And logging in to web services is easy because I’m using 1Password, which stores all my passwords and also syncs via Dropbox. Just because I can work on both devices doesn’t mean that I do the same work on both. For me, the Mac is much better suited for some tasks than the iPad, and vice versa. My iMac has much more power even than the iPad Pro, and a broader variety of software. I’m not going to encode video on the iPad Pro, or edit a multi-hour video for posting to YouTube. There are a lot of great text editors on iOS, but no single one of them can fulfill me in the way that BBEdit does, with its support for regular expression search, syntax highlighting, scripting, and (via the Mac filesystem) seamless support for every cloud-storage service. Yep, sometimes this is the best setup. Utilities are another area where the Mac excels. I rely on LaunchBar to open apps and documents, do math, open webpages, perform searches, and a lot of other tasks that Spotlight on iOS (or the Mac, for that matter) just can’t do. LaunchBar also serves as a clipboard manager, giving me access not just to a single set of clipboard contents, but an entire clipboard history. iOS has clipboard managers, but you have to remember to save items to them as you’re working—on the Mac, it just happens in the background. And a utility like Keyboard Maestro, which can remap keyboard shortcuts to shortcuts simple or complex, just isn’t possible on iOS yet. On the iPad, on the other hand, I get a simpler interface that allows me to focus. On my Mac, I habitually have many apps open and visible on the gigantic screen. On the iPad, I keep it simple—a single app, or perhaps a second app in Split View if I’m pulling data from one place and pushing it into another. The occasional Notification Center banner will appear, but in general I find the iPad to be far less distracting. Some of the apps are just better. The sad truth is, Mac app development is sleepy at best and moribund at worst. That’s not the worst thing in the world, because the Mac platform is pretty mature and the apps that are there are often excellent. But iOS apps seem to be much more constantly developed, and there’s strong competition driving developers to do more, and to do it better. On my Mac there are only two or three apps I would consider writing in, while on the iPad I have flitted from app to app over the years as new features have trumped the competition. BBEdit is a key part of my Mac workflow, where I have multiple iOS options to choose from on my iPad. Then there’s the trouble with Google Apps. There was a time when Google was doing a great job being a good iPad developer with its Docs, Sheets, and Slides apps. But today, those apps are in a state of disrepair. They’re often buggy and they don’t support the iPad Pro screen size at all. 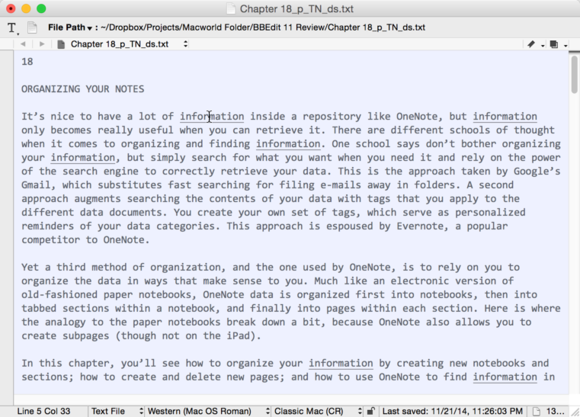 It’s driven a lot of my work out of Google Apps and into Microsoft Office, plain text, and Quip. A lack of good Google Apps apps makes my iPad pro experience worse, and makes me retreat back to my Mac. But in a lot of surprising places, I consider the iPad and Mac at parity. I can post a story to my website from either device with just about the same amount of work, and I’ve built automation on both to resize and upload images to the right places and pop the appropriate HTML code for those images onto the clipboard. More surprising to me is the discovery that I can edit podcasts just about as easily on the iPad with Ferrite Recording Studio as with Logic Pro X on my Mac. The experiences are different, to be sure—there are more plug-ins and audio processing apps on the Mac, for instance. But editing audio with just my hands is fulfilling in a way that clicking around in Logic isn’t. And when you consider that fully loaded with in-app purchases, Ferrite costs $20 to Logic Pro’s $200, it’s a much better option for people with an iPad and a limited budget. A couple of years ago when I talked to a bunch of Apple executives about the future of the Mac, I was impressed with their attitude: Apple makes many tools that can be used in many ways, so use the tools that you’re comfortable with. While I appreciate the devotion of Mac users and the excitement of iPad trailblazers express, I find myself happy to be walking a middle path. I use my Mac during my workday, take breaks to work on the iPad Pro, and then use the iPad Pro for work and leisure when I close the door to my office at the end of the day. I use them both and like them both. My life is better with both of these devices in it. I wouldn’t have it any other way.